Have you ever been fishing in the Stevens Point Area? You&apos;ll find great angling opportunities on more than 40 lakes and an array of rivers (including the Wisconsin River), streams and flowages. 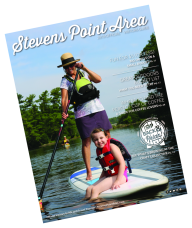 Learn more about exploring the Stevens Point Area&apos;s waterways here.